Home / News / Meeting with Noah’s ark enviromental services at Costa coffee. 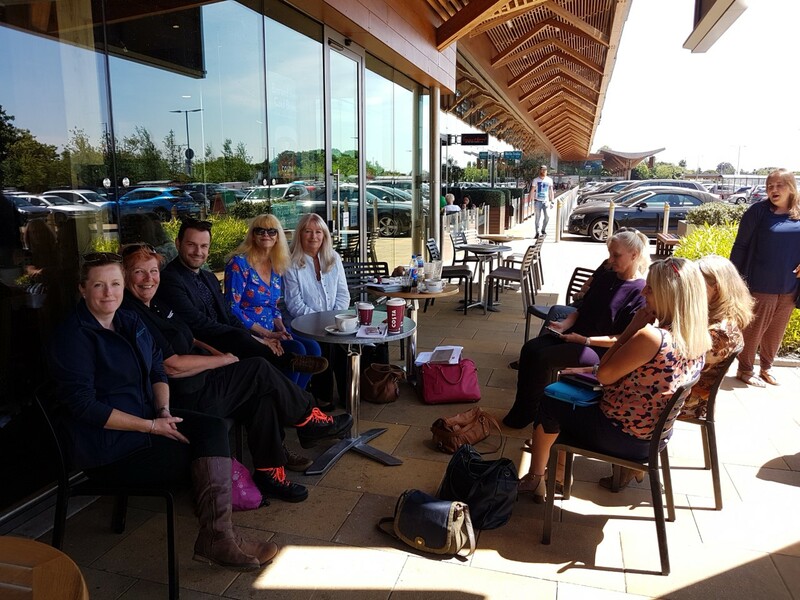 Meeting with Noah’s ark enviromental services at Costa coffee. Noah’s ark who run a dog warden service in 22 council areas met with us yesterday in Taplow to discuss working together for the benefit of dogs. Debbie Matthews from Vets get scanning. ( Again always lovely to see you! )….ps the air kissing thing I have never got the hang of it! I always go the wrong side…..Sorry!…Best next time we meet to shake hands? I would never be forgiven ( by 100.s of thousands of people ) …if I inadvertently headbutted you! Karen Harding …London co-ordinator ( What a lady! Furnished every one with print outs from those that could not make it…Thanks CJ andLisaP.) and has built up her team to help dogs! This is positive…We listened to them…they listened to local helpers…The way forward! We are trying to track down the person who took the group photo of us Doglost peeps together! …Karen will track down! and will add when traced.